Promoting peak performance on the diamond, the Nike Force Zoom Trout 4 Men&apos;s Baseball Cleat features responsive Zoom Air cushioning and design details inspired by outfielder Mike Trout. We bought these for our six foot 13yo. They fit well and give him the support to play hard. Kind of pinches ankle when leaned forward in, and were bigger than expected. But other than that they are comfortable and fit my wider foot well. 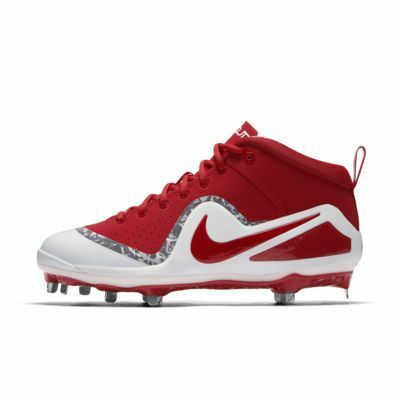 Worn by Mike Trout, Los Angeles Angels; Addison Russell, Chicago Cubs, and Matt Carpenter, St. Louis Cardinals.